From the limited findings based on a recent experiment, researchers at Brandeis University found that sounds can affect how we interpret visual cues. Participants in an experiment found it more difficult to score points in a simple game when its audio was messed with or turned off entirely. More proof that listening to podcasts while gaming is destroying your KDA. Published this year in The Journal of the Acoustical Society of America by psychology professor Robert Sekuler, computer science professor Tim Hickey, and PhD student Yile Sun, the paper titled (wait for it) “Bi-directional audiovisual influences on temporal modulation discrimination” set out to investigate the relationship between audio and visual stimuli. To study this issue, the authors of the paper created a simple video game called Fish Police!! In it, players sit on the bow of a boat overlooking water. Occasionally fish swim past. Some of the fish—referred to in the experiment as the “good” fish—change size slowly as they go by. The “bad” fish change shape more quickly. Players score points by rapidly clicking one button whenever they spot a good fish and a different button whenever they spot a bad one. The researchers charted how quickly players were able to identify and react to key information when it appeared on screen. In addition to this visual component, the game also had sound cues. Each fish was accompanied by a musical tone that fluctuated while it was on screen. Players had an easier time identifying the good and bad fish when the tones changed at a rate similar to their shape. When these two things were mismatched—say, a bad fish changing in size rapidly accompanied by a tone that was shifting more slowly—players struggled more to earn points. Players’ performance was its worst when there were no sound cues at all. 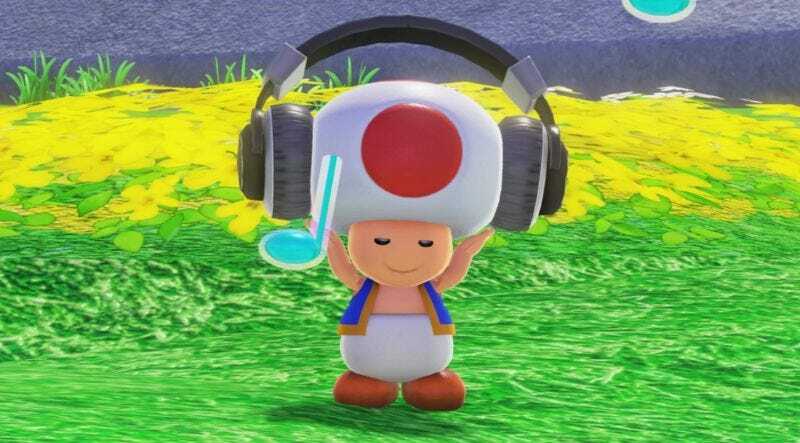 Basically, even when you know the sounds you’re hearing have nothing to do with what you’re trying to focus on, like say, beating a boss in a game, they still help more than no sound at all. “Any time you have multiple sources of information and they’re correlated, performance improves,” Sekuler told the academic news outlet Futurity. While research like this is still preliminary, it suggests that if you really don’t want to die every five seconds in a Call of Duty deathmatch you should probably turn off those podcasts or lower the volume on your favorite Spotify playlist. Research published in July in Pyschology Today found something similar. StarCraft players who were able to integrate the game’s music with their actions and strategy in a cohesive, harmonious way usually performed better in matches. “The best players seemed to be better at paying attention to—and meaningfully integrating—both audio and visual cues effectively—thus benefitting from the richest warnings/clues/feedback,” concluded that study. At the end of the day, people should play games however they want. If you’re Kotaku’s Editor-in-Chief, that means ignoring the game music completely in a lot of situations. Just don’t blame the game’s difficulty when you spend hours on that same boss fight.